Complex behavior occurs when many interactions at the local scale collectively lead to unpredictable larger-scale outcomes. The accumulated evidences that systems as complex as a group of social animals, or the cells of a living system, cannot be fully understood by simply reducing them to a sum of their fundamental parts, has produced an increasingly large interest in the study of complex systems. These studies are revealing and explaining a range of emergent system behaviors and providing a deeper understanding of entire systems and their responses, with often unexpected results. The 2018 BIFI International Conference will bring under the same umbrella a wide variety of leading researchers with direct interest in Complexity and Network Science, from Physics to Computer Science, Biology, Social Sciences, Economics, Technological and Communication Networks, Big Data and so on. 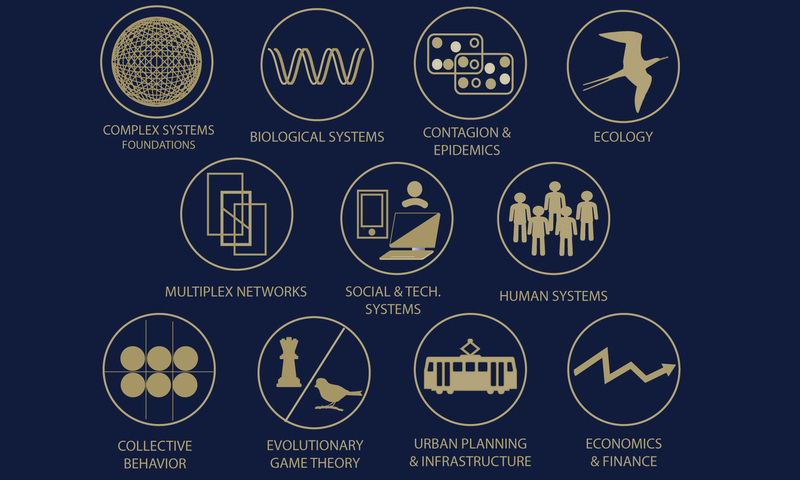 The Conference will involve important and recognized scientists worldwide who have contributed for decades to pave the way for theoretical research and practical applications of complex systems and network sciences in different areas of knowledge. Below, we briefly mention, although not exhaustively, a few of the key problems that will be discussed during the Conference. All topics that fit within the science of complexity and networks are welcome to the meeting. Today, techno-social systems pervade our world. ICT systems are leading to profound transformations in the way our society self-organizes, generates and uses information as well as on how humans interact, travel, behave, etc. Such transformations are not always traduced in an improved human society, as they can also lead to new forms of instabilities or make social and economic systems more fragile. Big data alone will not be enough for this purpose. By itself, having the data does not produce new knowledge about human behavior and ICT systems. We need to develop new tools for the categorization and characterization of human-generated datasets that ultimately will allow the identification of new patterns exhibited in social collective behavior. Although outstanding results have recently been obtained in modeling collective behavior in techno-social systems, we have not yet progressed enough in basic theoretical aspects and in the application of the generated knowledge to the characterization and understanding of real social phenomena. As more data about real systems became available, it was evident that many systems are indeed made up by different interaction layers that are interdependent. This new structural and topological approach presents important challenges. First, we need to figure out when the multilayer structure is really important and then, develop new metrics, algorithms and representations of such systems. For example, epidemiological research nowadays faces problems related to the lack of appropriate, disease-specific theoretical and computational models to understand the transmission mechanisms behind global public health threats. This is amplified by our current limited knowledge about the interplay among the various scales involved in the transmission of infectious diseases at the global scale. Therefore, pressing problems rooted at the interdependency of multi-scales call for the development of a whole new set of theoretical and simulation approaches. Finally, Evolutionary Game Theory, a branch of mathematics that analyzes the strategic interaction between rational or irrational agents, is a very useful tool to study different phenomena and biological processes such as the ecology of bacterial population, the emergence and survival of cooperation and the evolution of virus and species, in general. In this context, it is fundamental the appropriate design, implementation and running of large-scale experiments aimed at unraveling the underlying mechanisms that drive human cooperative behavior.